The Cutting Edge of Ordinary: One year. congratulations on a year. Sounds like you guys had a great Christmas day. Looking forward to what you have to say in the New year. Congratulations! I never thought my blog would become so important to me, or to anyone else, either. Don't you just love the relationships that get cultivated in the food blog community? I think that's the best part. Happy Anniversary!! Can you believe how fast a year goes by!! Great pictures of your family!! Many happy returns of the day. :) Thanks for putting yourself out there. I don't think I could do it. I appreciate all the great new recipes I've gotten here too. 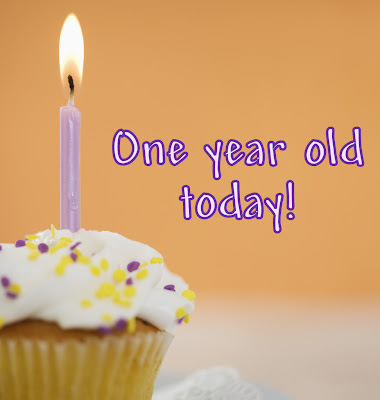 Congratulations on your 1 year blogiversary!